Get ready for summer with this cheerful even-count peyote bracelet. The bracelet features three large daisies against a background in shades of summer sky blues. 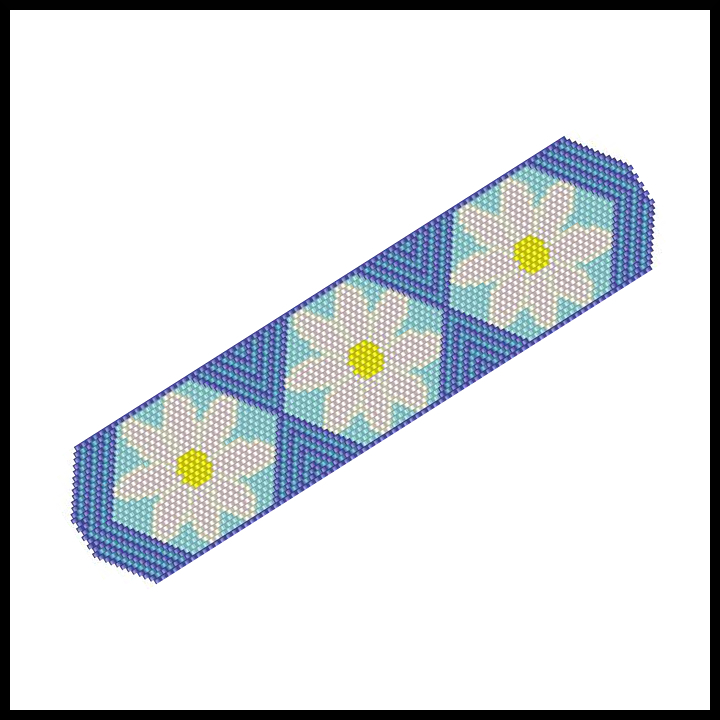 The pattern includes a list of 6 recommended Delica bead colors and a full color chart. This is a chart-only pattern so basic peyote or brick stitch instructions (including increasing and decreasing) are NOT included. This pattern is part of my Flowers for All Seasons series, which also includes Daffodils for Spring Bracelet, Tulips for Spring Bracelet, Spring Flowers Bracelet and Ring, Spring Bouquet Bracelet & Earrings and Field of Daisies Bracelet & Earrings.